The concept of Scrabble and Words with Friends is the same—play words, score points, win. But the games require different strategy in terms of letter placement, premium squares, tile point values and word choices. Here's the main differences between the two games. 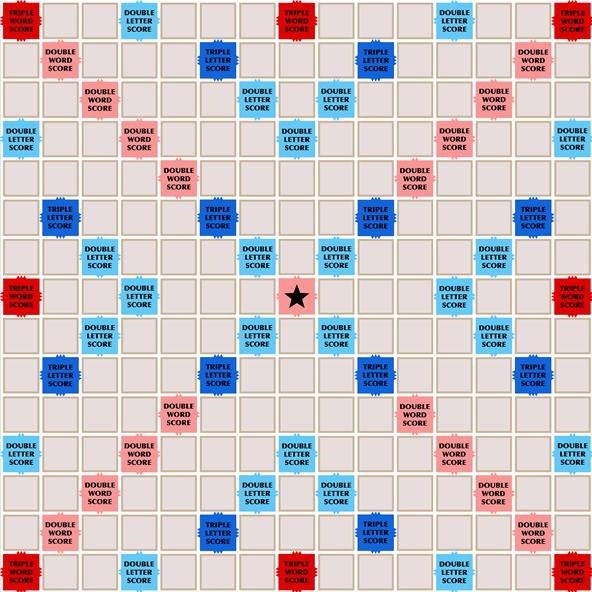 Scrabble has 100 total tiles; Words with Friends has 104. Scrabble uses the OWL2 word list; Words with Friends uses ENABLE. Scrabble has 12 Triple Letter (TL) squares; Words with Friends has 16 (see pic above). Scrabble has 17 Double Word (DW) squares; Words with Friends has 12 (see pic above). Scrabble's center square is a DW square; Words with Friend's is a regular square. Scrabble awards 50 bonus points for using all letters on your rack; Words with Friends gives 35. The letters B, C, G, H, J, L, M, N, P, U, V and Y all have different point values (see pic below). They also have differing tile distribution. Scrabble: H (2), D, S (4), N, T (6), I (9) and E (12). Words with Friends: H (4), D, N, S (5), T (7), I (8) and E (13). Both have the same number of the following tiles: J, K, Q, X, Z (1), B, C, F, M, P, V, W, Y, BLANK (2), G (3), L, U (4), R (6), O (8), and A (9). 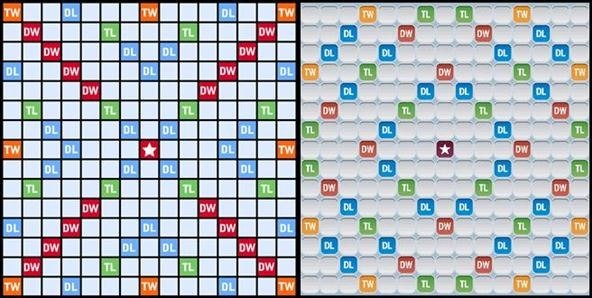 Both have 8 Triple Word (TW) and 24 Double Letter (DL) squares. Both adjust the final score the same when one person goes out—the winner gets the loser's leftover points added to their score, while the loser subtracts them from his/her own score. Even if you know all of the differences and similarities between the two games, it's still quite a task to switch between the two and remember things like which words you can use and which ones you can't, or how many bonus points you get for using all of your letters. But one of the biggest differences not mentioned yet is that in all of the Scrabble apps (Facebook and mobile), it counts your score while you're making the move. This makes it easy to concentrate on building words and determining which is the best play. In Words with Friends you have to do the math yourself. Not a big deal. That's how it's done when you're playing the old Scrabble board game. But it can get confusing if you're used to the point-structure of Scrabble. However, Words with Friends did recently introduce a "store" on Facebook, which lets users "buy" upgrades, like a score count tool, but really Zynga? You have to pay for this? Anyways... on to the challenge, which is a quick game of both Scrabble and Words with Friends. Keeping in mind the differences in point values, dictionaries, bonus points, etc., what would be your first move in this game of Words with Friends and what would it be in Scrabble? Which scores the most points? Post your answers in the comments below. And if you'd like to try out another Scrabble vs. Words with Friends puzzle, check out "Scrabble Challenge #8: Is the Highest Scoring Move the Same in Words with Friends?". Q: You're losing 299 to 398 with EELNRV? on your rack. 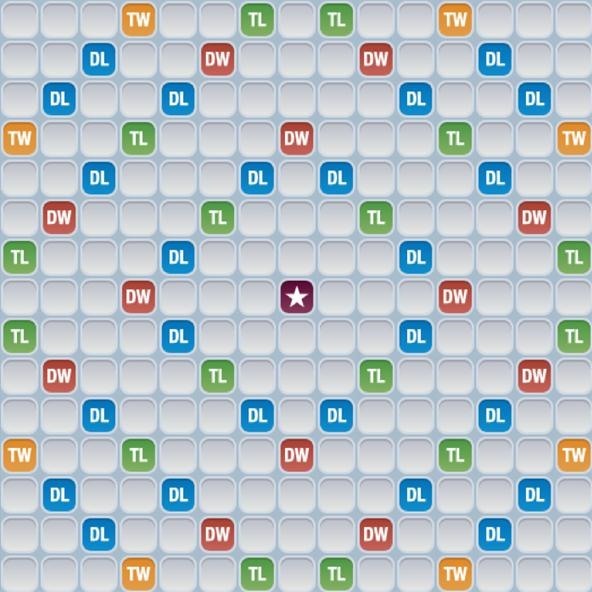 All the tiles are gone from the bag and your opponent has the letters EGMW. Using all of your letters, spell out an eight-letter word on the Scrabble board that's a variant spelling of another word. There's actually two different variations you could play, but only one will win the game for you. A: The word that both the winning and losing bingo word play refers to is VERONICA, which is a handkerchief bearing the image of Christ's face. There are only a couple different variants of this word, and both can be played. 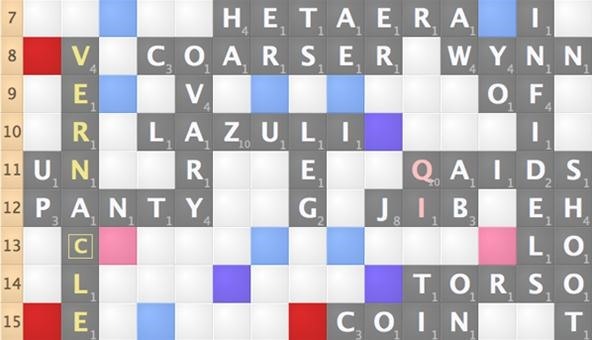 The losing word would be VERNACLE played from B8 to B15, also spelling UN for a total score of 76 points with the bonus. So, that's 299 + 76 = 375 + 20 for your opponent's remaining letters (doubled) = 395. It's close, but you'd still need 4 more points to win. The only winning move you have is playing VERNICLE from 5D to 5K, which takes advantage of not one, but two Double Word Scores squares and also spells ATE and EAR. So, the total score for the play would be 102 points. That's 299 + 102 = 401 + 20 for your opponent's remaining letters (doubled) = 421. This closes the game and names you winner by a 23-point spread. Now, just imagine if you only knew the word VERNACLE and not VERNICLE? You would have lost! That's why it's good to know all of the spelling variations of a main entry in the dictionary. Hmm... I would just play "hazmats" for both games. 77 points in Words with Friends and 112 points in Scrabble. Ah, the answer is not that simple. You definitely got half though! I like how you compared the two dictionaries, though words with friends pretty much does whatever they want. They use the enable list, but they exclude and add whatever they want. They even take recommendations from users, which is nice, though it's hard to say if they actually include user suggestions or not.